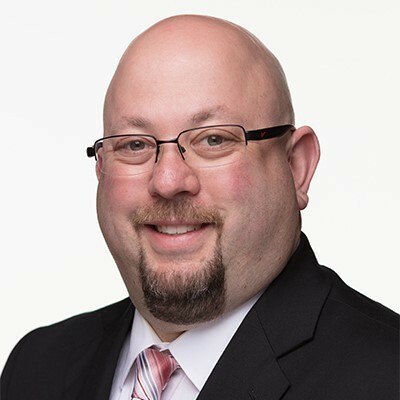 March 14, 2019 – Adam Bujalski has been promoted to the position of Business Lender at Interra Credit Union, Goshen, Mike Blosser, Senior Vice President/Business Services, announced recently. He will serve members in Goshen, Elkhart and the surrounding areas, working out of the corporate office in downtown Goshen. Bujalski joined the Interra staff in 2017 as the Treasury Management Officer, and successfully developed relationships throughout the business community. “My goal has always been to build relationships with our members, providing long-standing partnerships well into the future,” he said. A graduate of the Indiana Institute of Technology, Bujalski has worked in the financial services industry since 2006, in sales and management roles. Originally from Michigan, he has lived in Elkhart County since shortly after his discharge from the United States Army. Consistent with Interra’s culture, Bujalski is passionate about community service and involvement. He served as an Elkhart city councilman, is the Elkhart County board chair for Elkhart County Junior Achievement/Lemonade Day and is a member of the 2018-2019 Greater Elkhart Chamber Leadership Academy. Bujalski is active in the Goshen Chamber of Commerce, serving as a member of the Public Policy Committee and as a Chamber Ambassador.